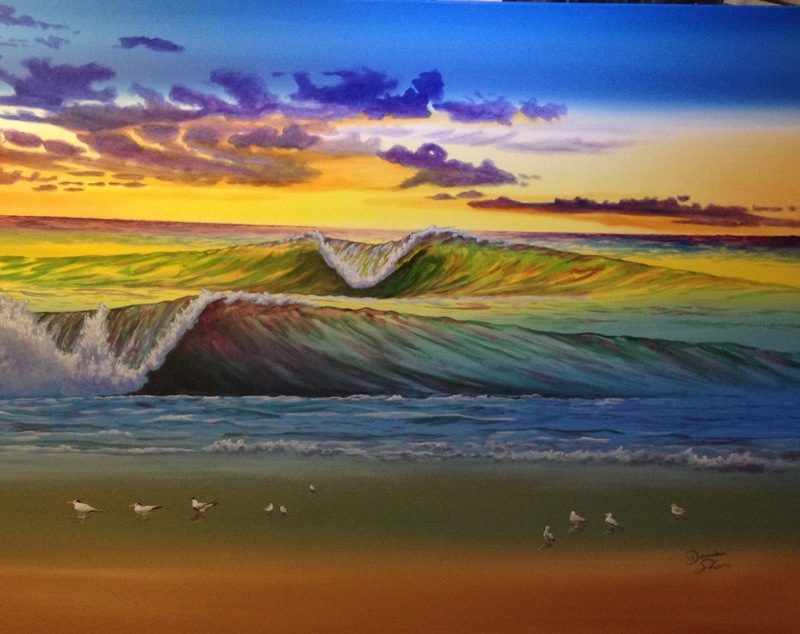 Damien’s love and passion for marine life and the lifestyle of a true surfer are all revealed on canvas. He paints to inspire us and to communicate all that is beautiful both physical and spiritual in sea and life. He works exclusively in acrylics, which gives the work a bold look and every piece ties him to water, be it ocean or the Lagoon. Please join us for this exciting exhibition… come meet Damien Share and enjoy his unique view of Brevard County. This entry was posted in acrylics, art, beach, color, mermaid, ocean, paintings, palm tree, sea turtles, surf, turtles, waves and tagged acrylic, art, art opening, Damien Share, Florida art, marine art, ocean art, surf art. Bookmark the permalink.